Posted July 10th, 2016 by Stephanie Zubiri & filed under Bébé, Feast with Me. 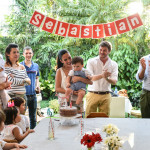 I was really looking forward to making Sebastian’s second birthday a special one. 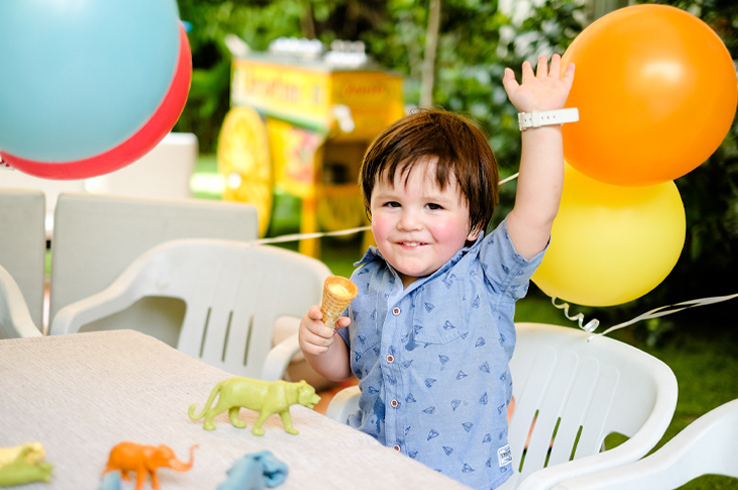 He had been to several of his friend’s birthday parties, loved singing the happy birthday songs and his favorite cartoon was (and still is!) Tigger’s birthday. 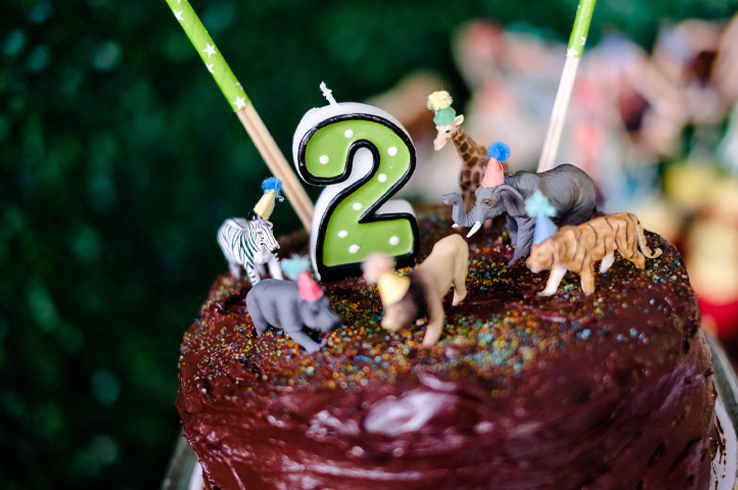 It had just been over two months that he was made a big brother and there was quite a bit of fuss over Maximilian so I felt that Sebastian’s second birthday was an opportunity to make him feel extra special. 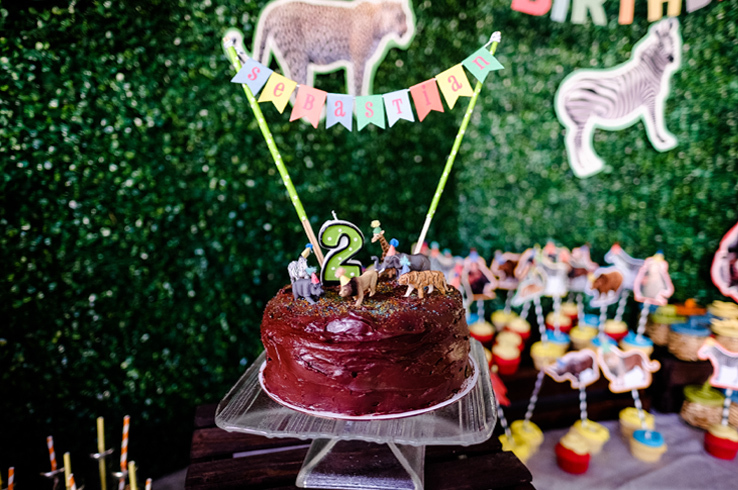 I wanted to keep it small and intimate – opting to have it in my house with just a few of his friends but as with all parties the original list of 10 kids grew to 20 and I was freaking out a bit at the last minute on how to fit everyone in my garden! As we know each kid counts for 2-3 more people here in the Philippines. Inviting 1 child can mean expecting up to 5 people! The child, the parents, the yaya and maybe a sibling. 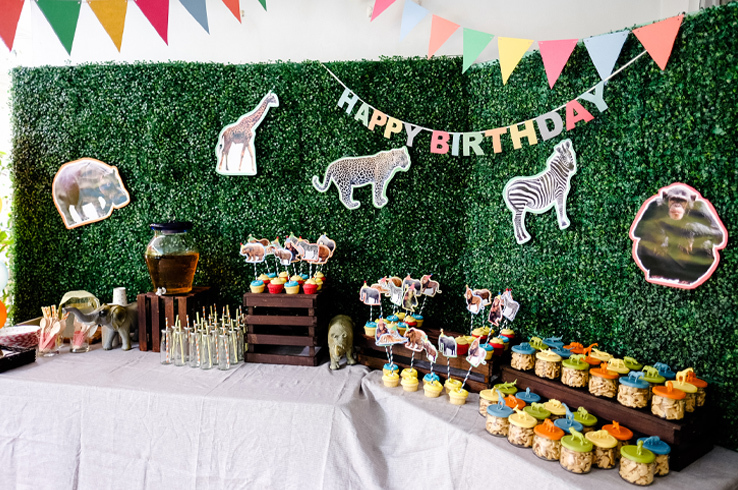 I regretted a little not making it in my parent’s place like for his first birthday, but I just wanted to DIY everything so it just seemed more practical to have it at home. In the end it turned out just perfect! A teensy bit tight but everyone had a blast! I settled on the Animal Parade theme ages ago because I just found it so adorable! Plus Sebastian loves animals, his growing collection of stuffed toys take up almost half of his bed and he refuses to sleep without his “friends” – Sharky, Sheepy, Penguin, Turtle…. The list goes on! Since I wasn’t too busy, in between seasons of taping for my shows, I really enjoyed making all the decor from scratch with the help of some of my fav suppliers. 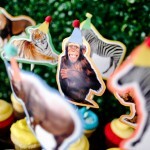 here’s a round-up of the whole party – from the decor to the menu and everything else in between. 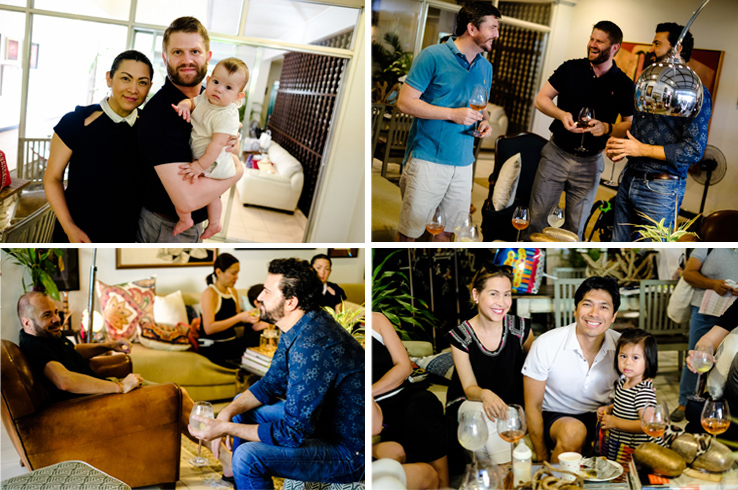 All these gorgeous photos by Magic Liwanag. 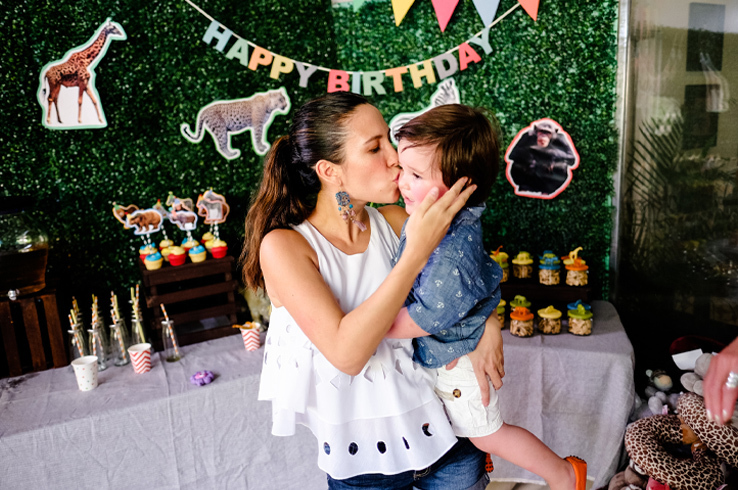 Because late June was well into the beginning of the rainy season, I had originally planned to have the party in our garage, much to my husband’s grumbly objections. This is one of the main reasons why I had grass panels and all kinds of decorations because I felt like I had to really dress up the space. At the last minute I decided to move it to our patio and garden with tents that way parents could stay inside in the air-conditioning if things got too hot outside. 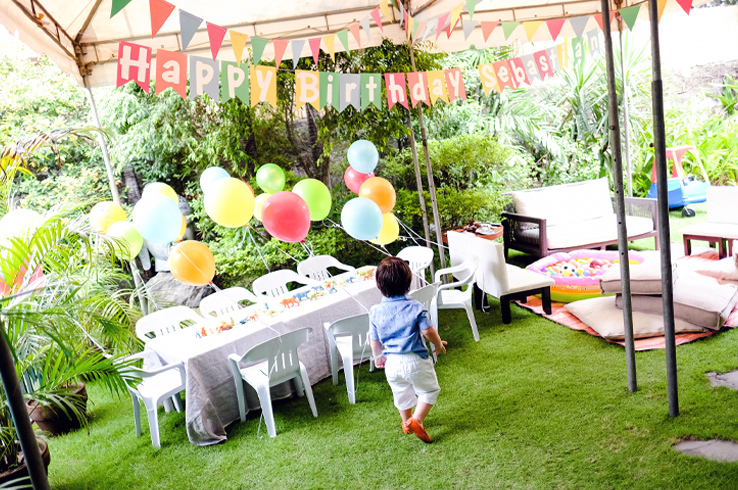 I once again ordered the happy birthday bunting and banderitas in the color scheme of the party from Maricel Mendoza of A Sweet Cottage. I also added some helium balloons from The Blue Bubble Balloons. They were such a hit with the kids! As soon as Sebastian emerged from his nap time and saw the set-up, he ran out and said “Wooooow! It’s my birthday!” He was absolutely thrilled! That alone was worth all my effort. 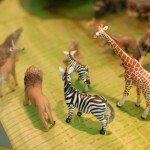 I set up a long table with kiddie chairs and decorated it with these little animals. I bought a whole bunch of cheap plastic animal toys at Divisoria and spray painted them in the colors of the theme. The kids loved it and immediately started playing with them. I opted not to have too many kiddie chairs because in the end kids don’t want to sit down! They want to run around and play. I had a small lounge area to one side and a play area with the swing set, an inflatable pool with balls and the basketball ring. I had put out a toy car but after kids started fighting over it I decided to remove it. Here’s a tip: don’t put out anything that can’t be shared! It’ll avoid some tears and hair pulling. It’s amazing how fast these things escalate. 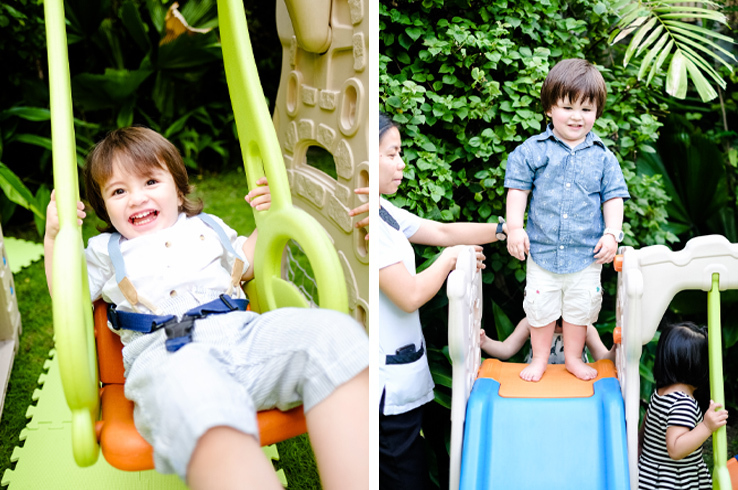 Santi having a blast on the swing and Sebastian owning it on the slide! 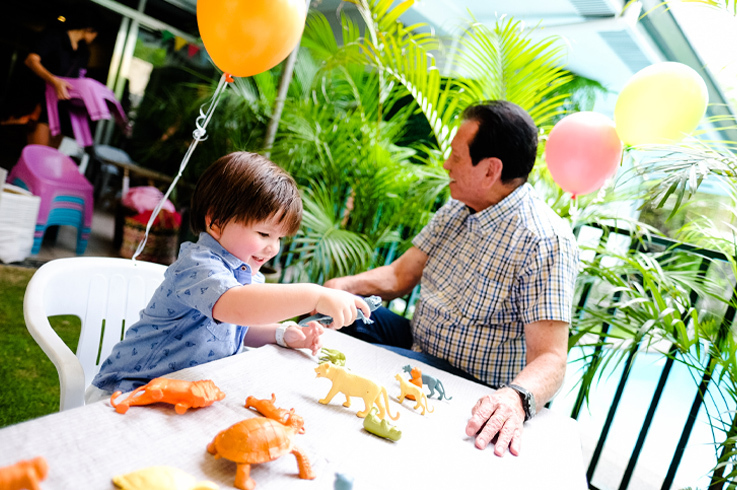 Enjoying all the little toys on the table and some quality time with his Abu. Below is his best bud Nathan, little cousin Alessi and cutie classmates Matty and Elian. For the decor, I had found some hi-res animal photos online and asked some friends to send me their animal photos, had them cropped out and printed in large format. I cut them out and glued them on to colored cartolina. 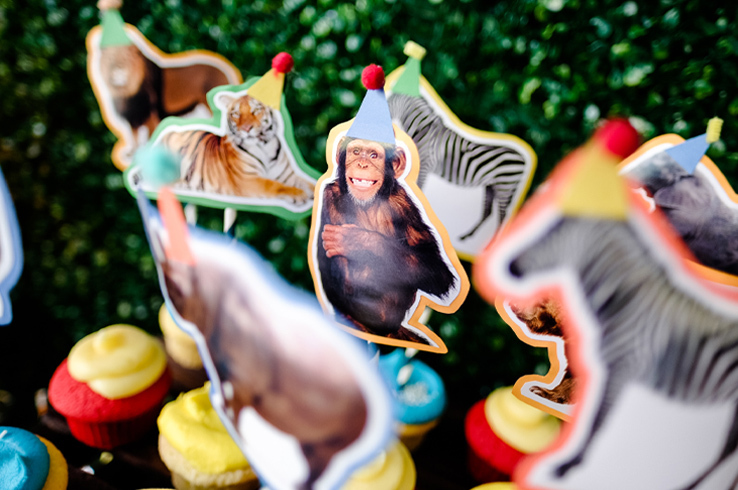 I pretty much did the same with the cupcake toppers and had them printed in Kodak – high quality and not too pricey, you’re printer ink will cost you more if you print yourself! I won’t get into the details but there’s more on how I made them in this post here. 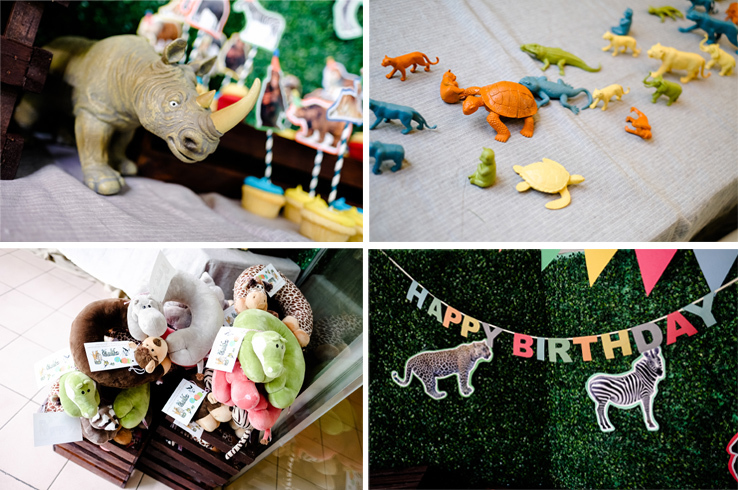 The giveaways were these adorable animal neck pillows that I got for a steal in Divisoria and little jars filled with animal crackers that I decorated myself with little animals. All the how-to’s are here. I kept things easy-peasy, making everything at home ahead of time. We served little cups filled with homemade chicken fingers and french fries so that kids could just pick them up and eat on their own. 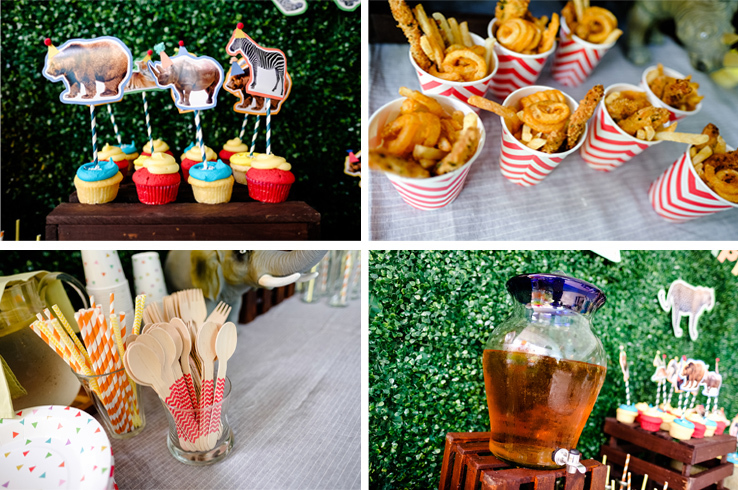 I also had another “Baby Beer” station with apple juice and sparkling water and some cupcakes. They also took the little jars of animal crackers and ate them throughout the afternoon. But the Sorbetes cart was the highlight of it all and thoroughly enjoyed by everyone! Who doesn’t love ice cream?? In the dining room I had more food options for both adults and kids. Homemade Chocolate Birthday Cake – which looked amazing (it’s the very first time my chocolate cake didn’t look like a pile of poop!) but alas! It was sadly dry inside. I still have yet to conquer the chocolate cake! #Pinterestgoalsachieved hahaha I had so much fun making these cute decorations. I found some nice looking animals and made them little party hats with pom-poms. The glue gun was my friend! the great thing about it is that after the party the glue came off so easily and the animals went into Sebastian’s collection. The name bunting was made by Maricel of A Sweet Cottage. For the cake I used the cookie monster cake base recipe but unfortunately left it to cook a little too long. The frosting is a classic ganache . I had so much leftover frosting I rolled them into little balls, dusted with cocoa and turned them into truffles. I didn’t want to bombard them with too many shows and games, they were mostly toddlers and babies with short attention spans. I arranged for a very short, 15 minute, Dog and Monkey show which was a lot of fun. Who knew a monkey could slam dunk like Michael Jordan!? But that was pretty much it. I’m not fond of parties with too much of a program… kids like to do things organically and spontaneously. 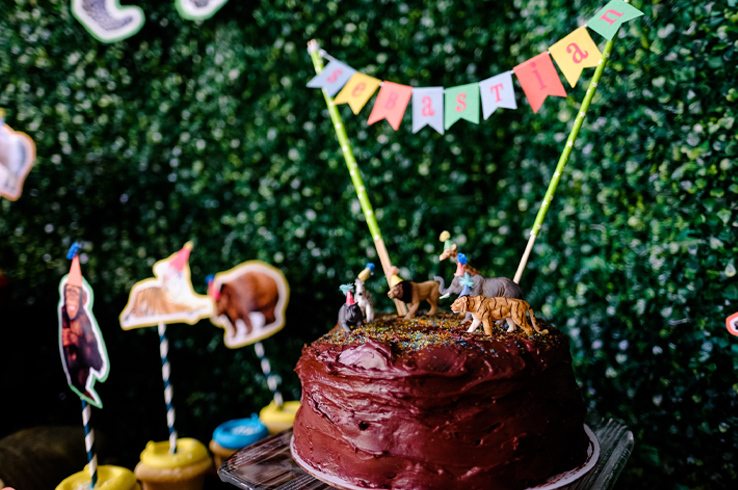 I don’t feel like you need to structure a kiddie party, just arrange for them to have several different things to do whenever they want. Look how happy they all are with a bunch of balls! I decided to go with a La Pomme Party station. The kids had a blast decorating, gluing, drawing on their own stuffed animals. You’d be surprised at how concentrated a toddler can get when there’s glue involved. My son loved in! “Look mama, I’m art-ing!! !” he called out happily. The set-up comes with a facilitator that helps kids out. From big to small everyone really enjoyed, plus they got to take their creations home. 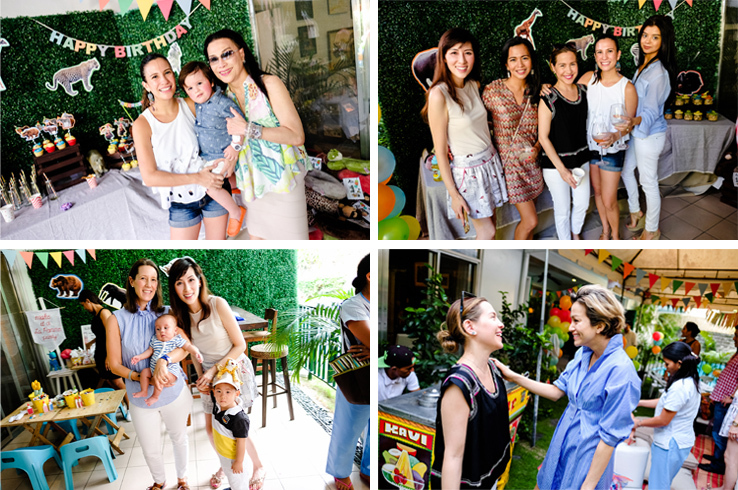 More about La Pomme Party in this post here. Overall we all had an amazing time, most importantly Sebastian had a blast. 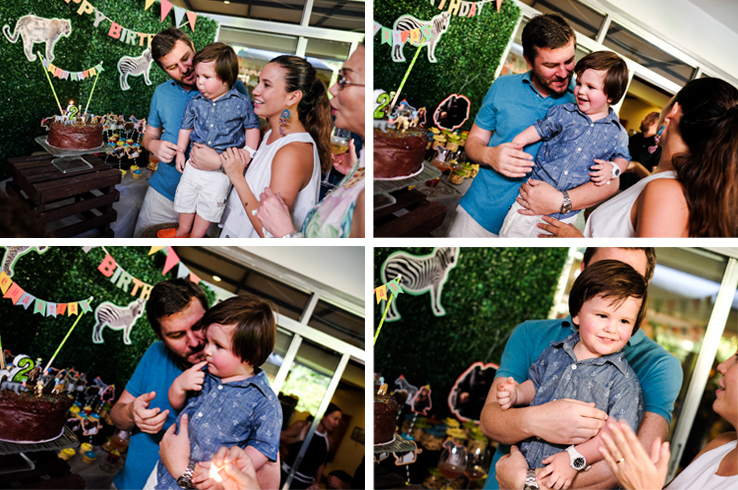 He was thrilled when people sang “Happy Birthday” and after he blew out the candle he exclaimed “Again!” Thank you so much to all the friends and family who came and celebrated this special day with us. This was so much fun to do and I admit the days leading up to it – I was pretty stressed out asking myself – why-oh-why am I doing this to myself? 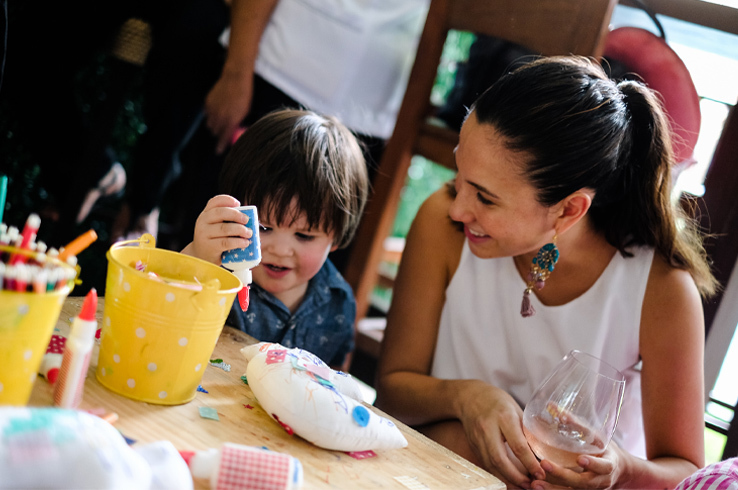 But in the end, to see that happy little face and all the kids enjoying themselves, that joyful chatter and warm laughter… It’s all worth it! 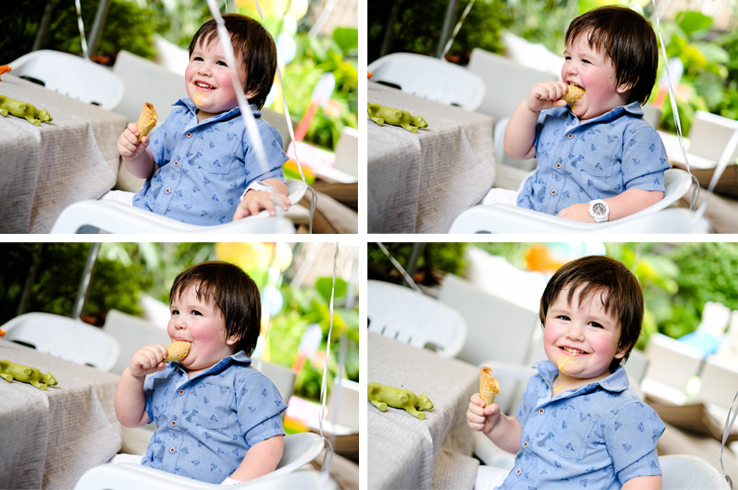 This little guy just couldn’t resist dipping his finger into the cake! I’m glad he liked it! I love how we’ve evolved as friends. Once upon a time a “Wild Party” meant dancing on the ledge at a club and now this is our version! With my mother; with Amy, Macky, Jackie and Rocio. Tinky with cutie Pepe and Amy with Nathan. Jackie and Stephanie having a laugh. 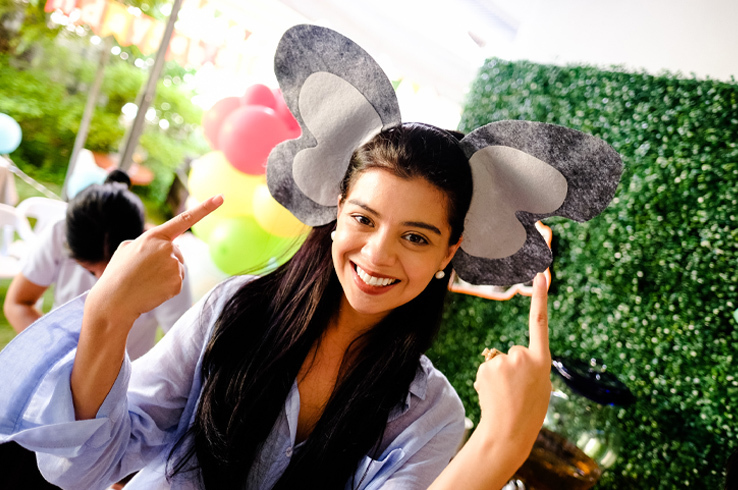 Rocio showing us what exactly a “Wild Party” is all about! It was a really good idea to have it in the garden, there was the option to stay comfortable in the cool air. 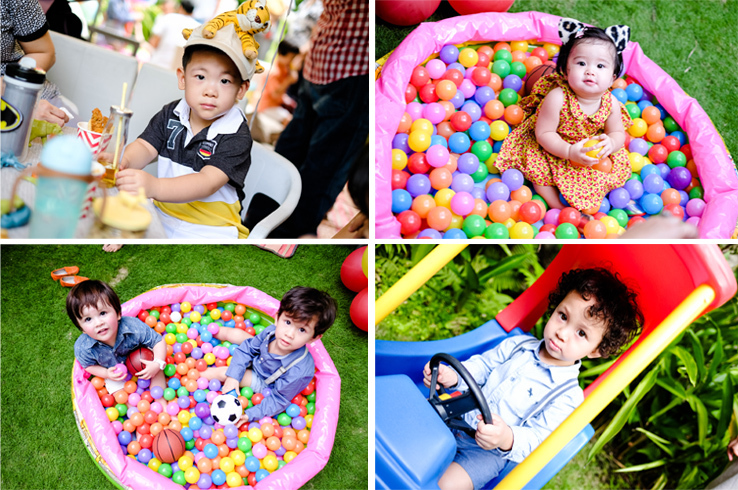 Tina, Brady and my inaanak Valentina; Jonathan with Brady and Antonio; Pierre and Antonio; Jackie, Marco and the adorable Tali. These two cuties rocking their modern and very chic interpretation of the Animal Parade: Andrea and Renee having a cupcake moment. Gianna and the handsome Leon. I love how Magic captured this tender moment between brothers…. Although Maxi looks a little upset by all the commotion, Sebastian was really happy his brother was there. No matter how much you try to squirm your way out – Mama’s going squoosh your face and kiss you! 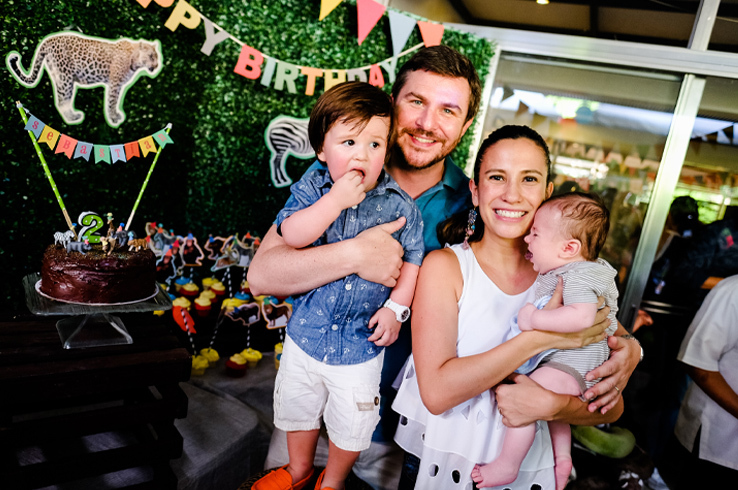 This is what a real family portrait looks like – Sebastian unfazed by the camera enjoying bits of the chocolate cake, Maxi totally not having any of the chaos but my husband and I, beaming, proud parents loving every minute of it! Who knew your heart could have so much love??? First time to comment but longtime lurker here. 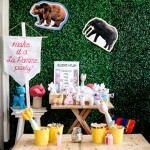 I love, love, love everything about this party! The love and care you put out in making it happen really shows.